At the beginning of the year friends of our suggested that we visit fenix. The food was great but I especially loved the pressed pork belly with cauliflower puree and scallops. The beautiful soft flesh with an almost chewy crunchy crackle and the creaminess of the puree complimented the dish perfectly. We had some friends come over and I wanted to recreate the dish minus the scallops. Here is my recipe. 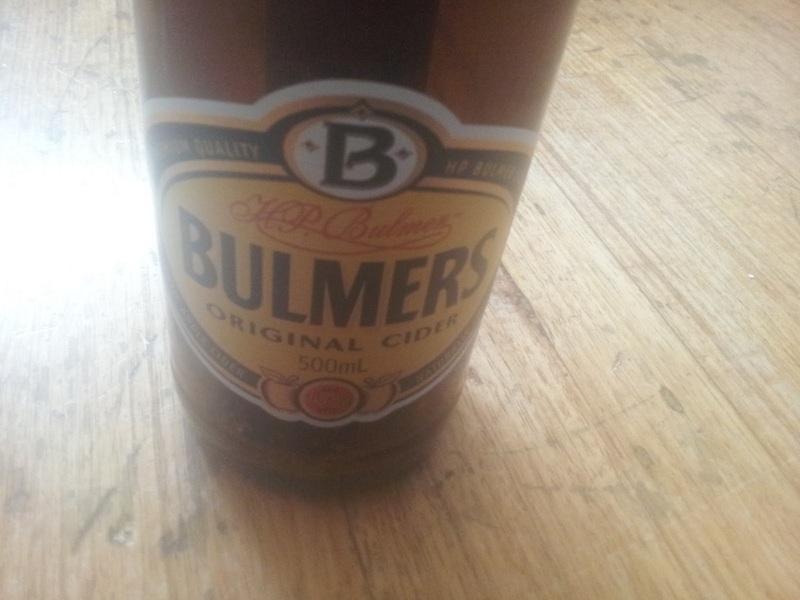 This needs to be started the night before you intend to serve it. 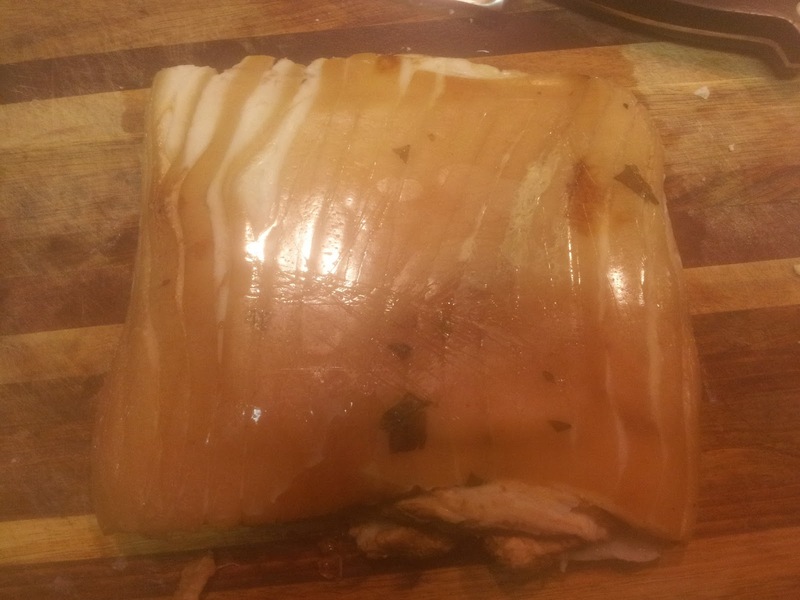 1 kg of pork belly, if you can get it unscored do so, but mine had already been scored. 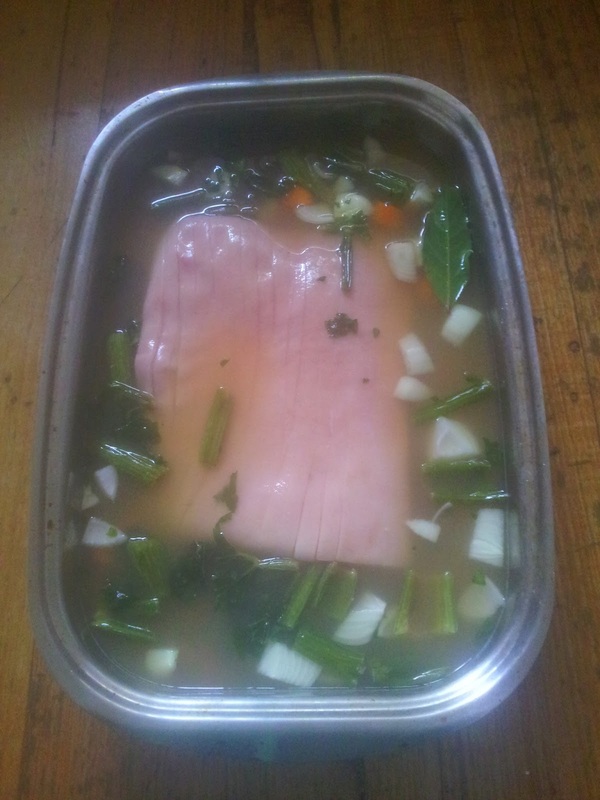 Add all ingredients in a baking dish and make sure pork is covered if not top up with water and cook in an oven heated to 160 degree celsius and cook for 3 hours undisturbed covered with a foil lid. Turn off oven and allow to cool. Carefully lift pork out of liquid onto a glad wrap lined tray and cover with glad wrap ensuring all the veggies are pulled off and weigh it down in the fridge overnight. Strain the stock and place in the fridge so it can be made into a sauce. Add reserved stock to a sauce pan and add a splash of apple cider vinegar and a couple of teaspoons of sugar and reduce by half to a third and taste for correct seasoning. It should be slightly sharp and sweet. Cut half a cauliflower into small florets and drizzle with olive oil and a generous amount of sauce and roast for 30 minutes until tender in a moderate oven. Cut up half a cauliflower including the stalk and add 200 mls of milk and a pinch of salt and simmer for 20 minutes or until tender. Drain and blend until a smooth puree. Heat a dash of oil in a frying pan until hot and fry portioned belly skin side down for 4 minutes until lovely and golden turn over and cook for another 4 minutes. Serve belly on a smear of cauliflower puree with a drizzle of sauce and a scattering of cauliflower florets. 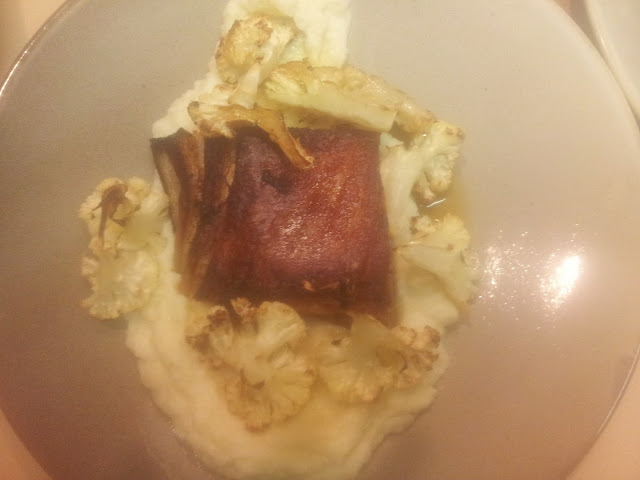 Hey Nat, you have given me another use for my cauliflowers, plus another pork belly recipe. Its become hard to find actual pork belly cuts at the supermarket now. Have you ever tried this recipe with some chilli/pepper additions? Yes I know, where was this recipe last year when I struggled to use all my cauliflowers? I was lucky and found this at the supermarket. A butcher once told me the cuts they provide are seasonal based and I wonder if belly is a cooler weather cut? I have never added chili but would assume it would work. I wanted to recreate the meal I had at Gary Mehigan's restaurant fenix, which had none in it, but how about instead of roasting the cauli you fry it and then sprinkle them with chili salt to add that hit? If I can add chilli to something I'll do it, I've just dried some from this seasons crop, so I have the powder & salt. The cauliflowers have been in the ground a few weeks now, I have 2 ahead of the rest, so not to have too much at once, I tried blanching before freezing, but it comes out watery, so now its frozen after picking & washing. Oh, I don't know if you're in the market for a food dehydrator/dryer, but 'Homeart' have them this week for $49.99, I am telling Aussie gardeners because food dryers are not common, or at this price, cheers.